Apple HomePod debuts in the U.S. with 4.1% market share after just four months in market. The showing will surprise many that have feasted on stories suggesting HomePod is not selling well. Google Home U.S. user market share rose quickly in the first five months of 2018 settling in at 26.9% and reinforcing momentum after Canalys declared the company the global smart speaker sales leader for Q1 2018. Amazon Echo U.S. user market share continues to fall as new smart speaker entrants primarily take share away from the category pioneer and new Echo sales appear to be predominantly going to existing users. Apple HomePod quickly landed 4.1% of smart speaker market share while Amazon Echo slid to 61.9% and Google rose 8.5% to 26.9% since January according to a survey of over 1,200 U.S. adults in May 2018 by Voicebot.ai and Voysis. There has been widespread coverage of analysts reporting lackluster HomePod sales, but capturing 4% market share after less than four months since product launch is not a terrible outcome. Note: This smart speaker market share data was captured in the development of a forthcoming study of consumer behaviors and attitudes related to voice shopping. If you would like to pre-register for this report due to publish in June 2018, please click here. Amazon Echo retains dominant market share at 62%, but that is a steep decline from the beginning of the year when it was over 70%. This market share fall is in line with recent Canalys data that showed Google Home outsold Amazon Echo smart speakers worldwide in Q1 2018 by a margin of 36.2% to 26.7%. The Canalys data included Alibaba, Xiaomi, LINE and other smart speakers that are not available in the U.S., but clearly showed a trend of slowing Amazon Echo sales relative to competitors and rising Google Home sales. Canalys did not break out Apple HomePod sales in its announcement. 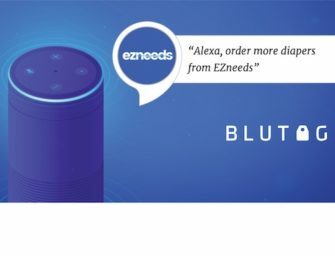 Amazon is clearly still selling Echo devices, but the company may be doing better with existing customers than adding new customers. Device sales to existing customers count toward unit market share, but not in terms of additional user market share which is what we reported above. Given that HomePod was new in Q1 2018, you can assume all of its unit sales were incremental to user market share. Google seems to be doing particularly well in selling devices to new smart speaker owners. In fact, based on its rapid rise in user share, Google appears to be predominantly selling to new customers as opposed to adding devices to existing Google Home households. Part of this might be due to its aggressive bundling of Google Home Mini with other products and programs such as Pixel 2 sales and Google Express promotions. The new data also appears to justify Loup Ventures analyst Gene Munster’s reiteration of his forecast for seven million HomePod sales in 2018 despite negative reports from other analysts. Survey data suggests that about 2.44 million U.S. adults currently have access to a an Apple HomePod when you adjust for people that are not online. However, that is not unit sales as smart speakers are typically used by multiple people in a household so it is important to differentiate between user reach and device sales. The data presented here is user reach and likely exceeds number of devices sold. However, it seems clear that the earlier report of only 600,000 devices sold worldwide was well off the mark. Apple will host its annual Worldwide Developer Conference (WWDC) tomorrow and is widely expected to reveal improvements to the Siri voice assistant and introduce a lower-priced smart speaker to complement HomePod. If these changes come to pass, they will directly address the two most frequent complaints about Apple’s first foray into the smart speaker market: Siri’s lack of capabilities compared to Alexa and Google Assistant combined with HomePod’s $349 price tag.